If you are a heavy mobile internet user, then good luck in Spain. A comparison of three operators with a prepaid data SIM, a lot of money spent and a happy end. As a gypsy freelance worker I need to be online daily everywhere – at a high speed. Until now this was never a problem. OK I admit I am a little bit spoiled. Since 3 years I am working with an USB internet stick and a 9 Euro / month contract from Hutchinson Austria “3”. Not only that this deal includes 9 GB of data at high speed, I can also use this deal in all “3” counties worldwide, including the UK and Italy – which was absolutely perfect during our travels. Unfortunately, “3” is not operating in Spain. So I was – completely unprepared and free from any previous knowledge or expectations – falling into the first nice looking mobile operator’s shop, which was “Yoigo”. Call it stupid, or an experiment, as you like ..
My first try. They have an entry option where you pay 25 Euro for the SIM, and then 7.5 Euro per month, which seemed to be a really good deal. The sales guy was advertising the contract as if 1.5 GB data are included. 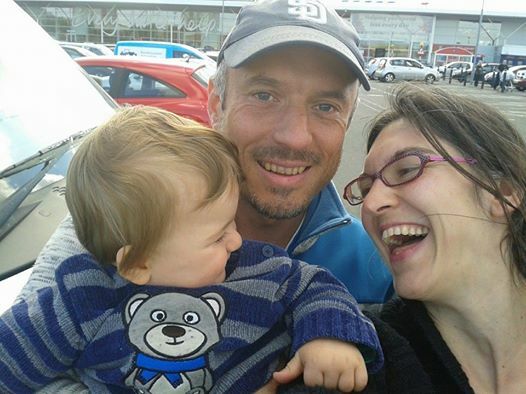 We were very happy (as we are always happy when we leave an operators shop, convinced that we made a good buy). The actual truth was, that you have just 800 MB at high speed. Then the service is slowing down so much that you can’t use it anymore on a laptop. After a few days of service I was interrupted by a site telling me I ran out of my high speed volume and can get another 200 MB for just 2 Euro. F@**k ! But the sales guy told us .. OK lets read everything again. Damned! In the end I payed 40 Euro for additional 4 GB. What was really annoying about Yoigo is a permanent interruption of the service while you are browsing. Every 3rd page an error is showing up “page not available”, or the page isn’t loading completely. This was maybe just temporary during my 2 month tests, but caused me a big problem because I have to use login backends where this behavior made me logout all the time and a decent working there was almost impossible. Another really tricky thing is that you can’t use Skype or any other Voice over IP (VoIP) service with Yoigo – except you pay 3 Euro for 150 MB VoIP traffic. But I needed VoIP traffic because I had an upcoming meeting with my colleagues in Austria. After one hour of desperately trying on the homepage to add this service I gave up. I was sent from here to there, and then back, and just couldn’t figure it out. So in the end I went to the next shop to the next operator to buy another SIM card. The good thing about Yoigo is that the recharging process works very well and that the connection was pretty fast. My second try. Just 7,50 Euro for the entry package, and then just 10 Euro for 2GB of data service. The guy at the sales point was speaking English well and very friendly (OK they all are when they want your money). He assured me that the package can be renewed anytime. When I came home I immediately entered the Lycamobile user-area, recharged my account for the next 2 GBs and marked the auto-renew option. I was happy to have found at least one fast and fair provider. Hurray! Although, just a few days later, the service stopped suddenly and I found out that all my credit had gone, without any 2GB renewing. Then I found out: My computer had downloaded huge updates in between. After running out of the 2 GB limit my tariff had been switching into an expensive use per MB and eaten up all the prepaid money within a few minutes. After browsing for a while I found out that a renewal before the end of the month seems to be not possible. F@**k ! But the sales guy told us .. Damned! I still had the meeting in a few days and so I went to the next shop to the next operator to buy another SIM card. The good thing about Lycamobile is that the recharging process works very well and that the connection was pretty fast. Orange has a tariff of 2 GB data for 15 Euros a month. If you reach the limit, you can still surf at a low speed with no additional costs – same like Yoigo. SIM didn’t cost anything – I charged 10 Euro and got another 5 Euro promotional credit for free. The service was fast and reliable, and also Voice over IP was working without any problem. 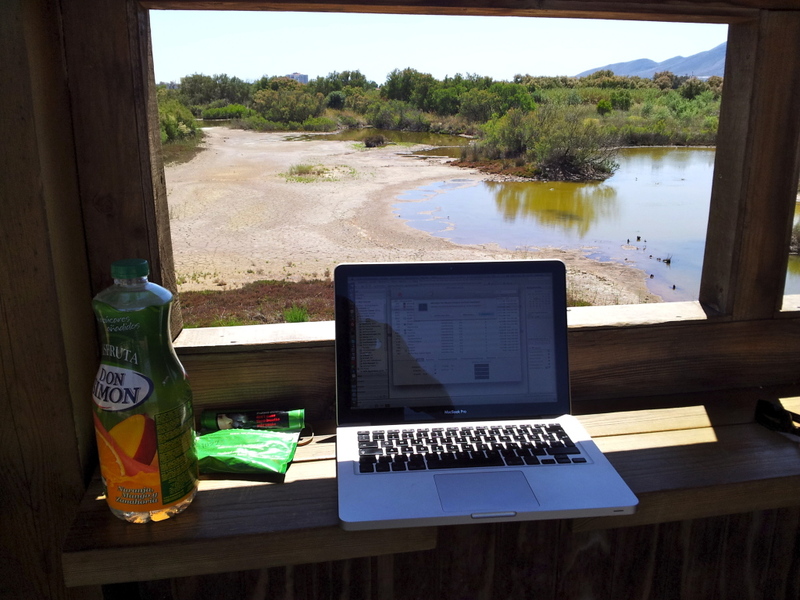 In the web I found an opportunity to renew the 2GB – perfekt! Everything seemed fine. I thought I had finally found the ideal provider. Because I had no passport available at the time of the buy (yes you need a passport or ID card to order any kind of internet in Spain), we were registering the account on my partner. This was a mistake, because it is not possible to recharge online over a credit card or bank account when the name is on another person. 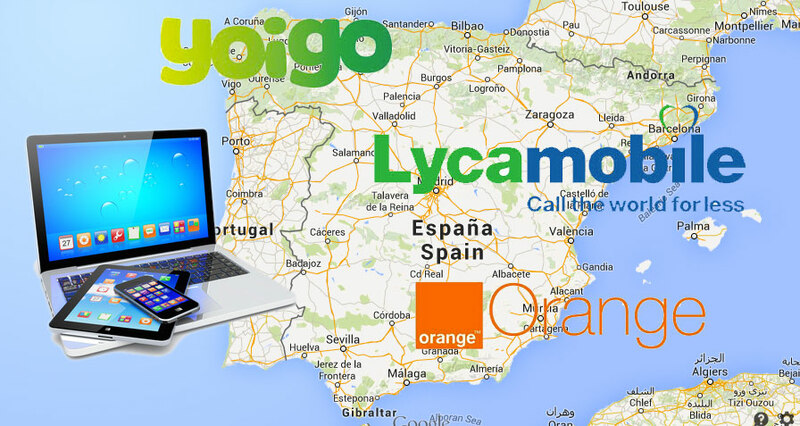 There is no possibility to enter the name separately like on the website of the other providers (Lycamobile or Yoigo). This means you need to go out to a phone or Orange shop to recharge your line every time you reach the limit. And the second, really annoying thing: just before reaching the 2GB month limit, I re-filled it with 15 Euros and clicked the button “recharge”. Or what would you press if you want to renew a service? Unfortunately, this changed only the amount of GB, but not the speed – the bandwidth stayed at a very low level. The function itself is interesting though – But tell me how can you use 2 GB of data with a speed of 1 kbits/s? Later I tried it 3 times to renew with a text message as well, but the answer was always “not possible at the moment”. I wrote an email to Orange which disappeared in cyberspace after returning 2 automatic messages that I will get help within 24 hours. I went to an official Orange shop where the sales guy (very friendly and English speaking) told me I have to contact customer service by phone. But the people there assured me that a renewal is possible and with the plan “ahorro” the 3 GB option would cost only 12,50 Euro per month. How it works exactly they didn’t know. OK, at home I recharged Yoigo with 5 Euro (less or even numbers not possible) to get back into high speed. A little bit of counting: within 2 months I have paid until now exactly: 155 Euros! Oh no! Then I checked out the Lycamobile client area again in more detail. I found that I can change to plan “ahorro”. Done. I found I can add a service “3GB”. Done. Price: 12,50 Euro. Entered credit card. Done. Yippeeee! When I was shopping for mobile internet in Spain, I found a lot of anti-consumer habits from the mobile stone age: hidden pitfalls like VoIP not included (Yoigo), high additional payments for high-speed (Yoigo), switches to expensive pay per MB models after finishing your limit (Lycamobile), recharging not working properly (Orange) and a bad customer service. The GB limits for a month are often not renewable before. The happy end is that Lycamobile has a really cheap deal with 12,50 Euro per month on the plan “ahorro” – and the renewal seems to work. Keep you updated .. The networks (Orange, Movistar) were tested only in the Barcelona area and worked very fast and reliable. Of course this article is NOT a scientific test or representative for all mobile operators. See it more as my personal anecdotical experience and tell me about your experience. Adios!